Need help choosing the perfect room divider for your space? We are more than happy to provide advice on different models, dimensions, colors and additional (custom) options. But we would love to hear from you if you have any other queries or need a quotation for a project. If you have any questions or need personal advice, we would love to hear from you! You can reach us by telephone, chat and email from Monday to Friday from 9am to 5pm CET, for advice or a chat. If you need to contact us outside these hours, please send an email or complete our contact form. Sign me up for the newsletter. Enjoy exclusive offers! 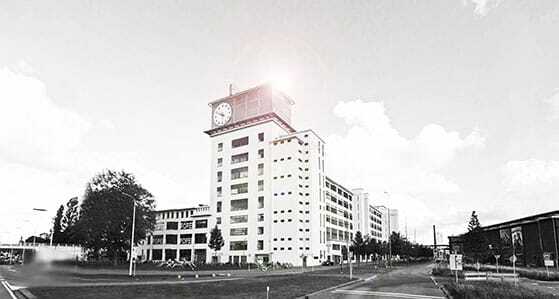 Bloomming is based in Eindhoven, city of the Philips light bulb and design capital of the world. Eindhoven is home to some of the most globally influential design and technology communities. It hosts Dutch Design Week, is home to the Design Academy Eindhoven, Piet Hein Eek, ASML, Philips and sits at the center of Brainport, the smartest region in the world. Bloomming has its office and studio in “Het Klokgebouw”, one of the oldest former Philips factory buildings and right in the creative heart of Strijp-S. Please feel free to contact us and visit our studio to see our products or for a chat. We have great coffee! We offer project discounts to professional architects, interior designers and decorators. Bloomming does not have minimum quantity requirements and we offer free shipping worldwide. Interested? Please Contact us for a quote. Together with our partner FedEx we supply our products to you wherever you are, right to your door at home or at your project location. Please contact us if you have any special requests, for quotes, questions, samples, additional information or even just for a chat. Awesome that you want to write an article about our company and / or our products. Please contact us by email and we will send you our press package including background information and high-resolution images.